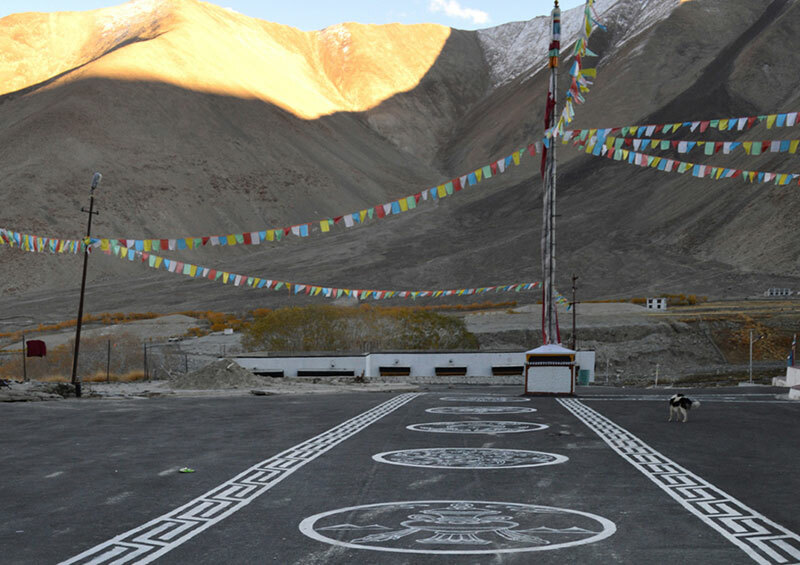 Buddhism has influenced the life and thinking of the people in Ladakh owing to its widespread presence in this region. 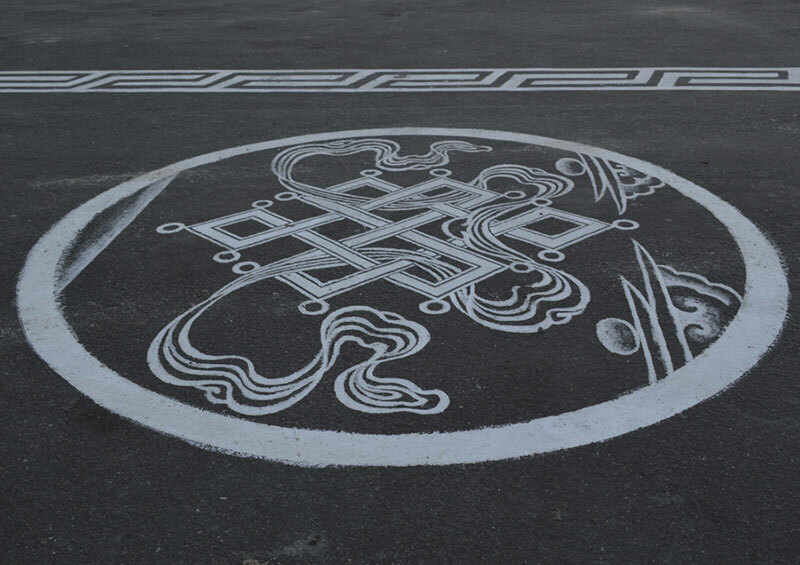 The locals come across as irrepressibly happy, with a strong sense of self and remain connected to their land having developed a close bond with their natural surroundings. 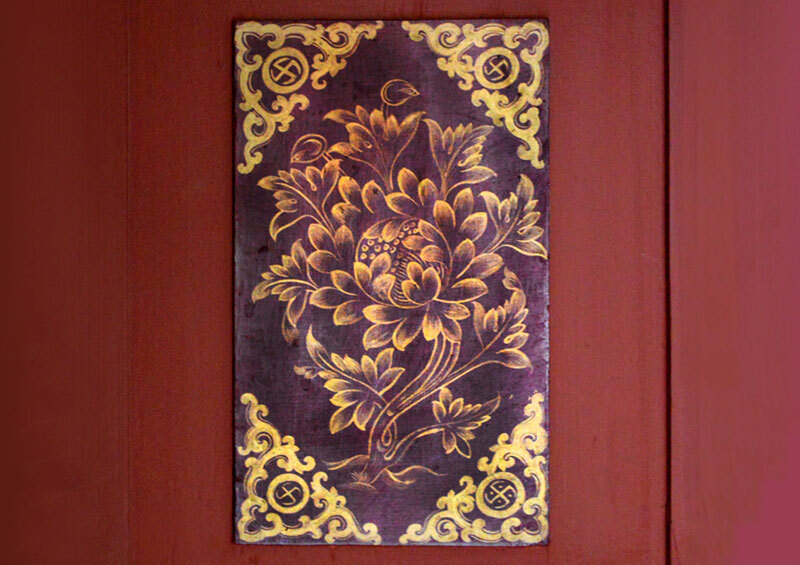 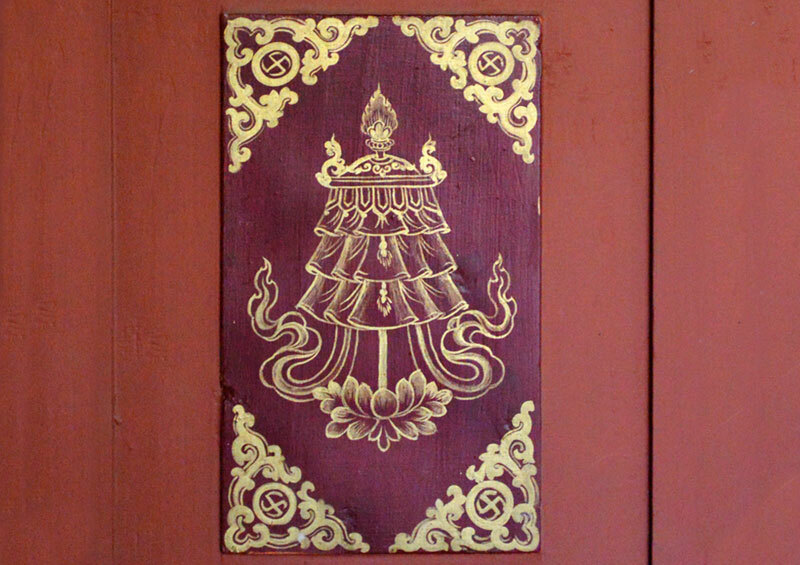 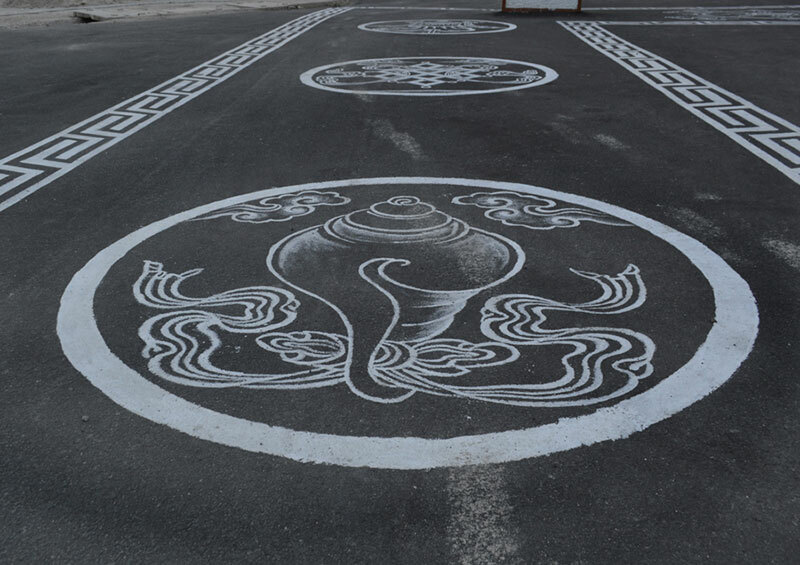 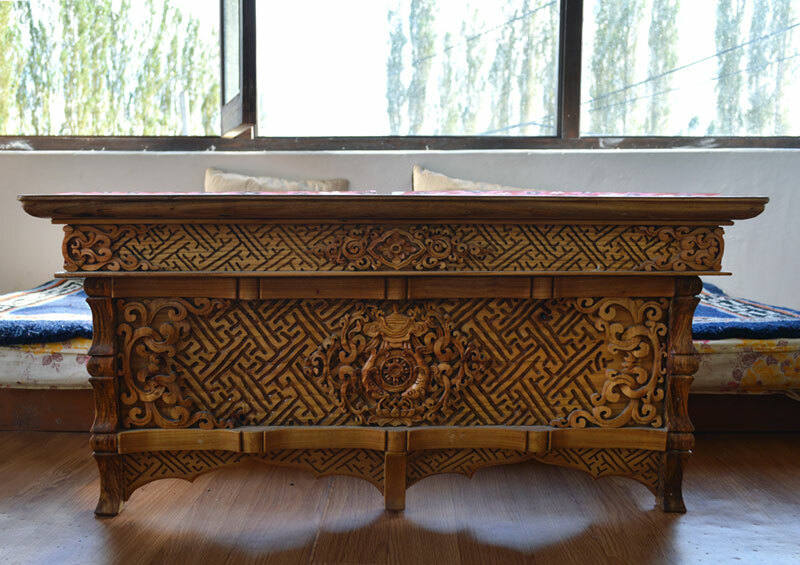 One of the practices is the incorporation of the Buddhist Symbols into their landscape, the architecture and other objects. 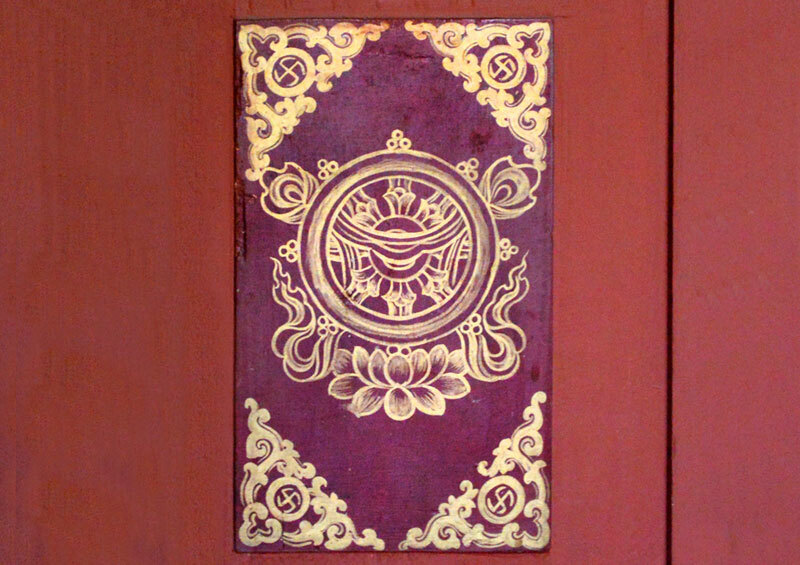 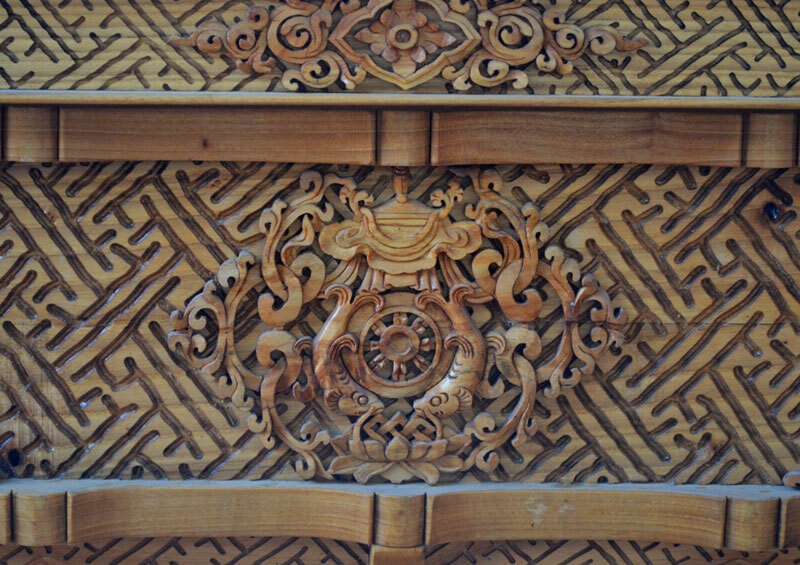 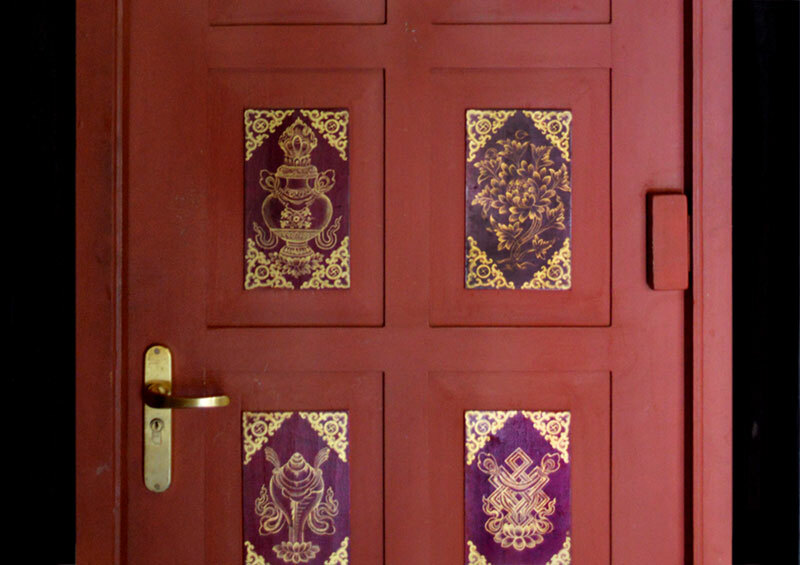 There are eight auspicious symbols in Tibetan Buddhism. 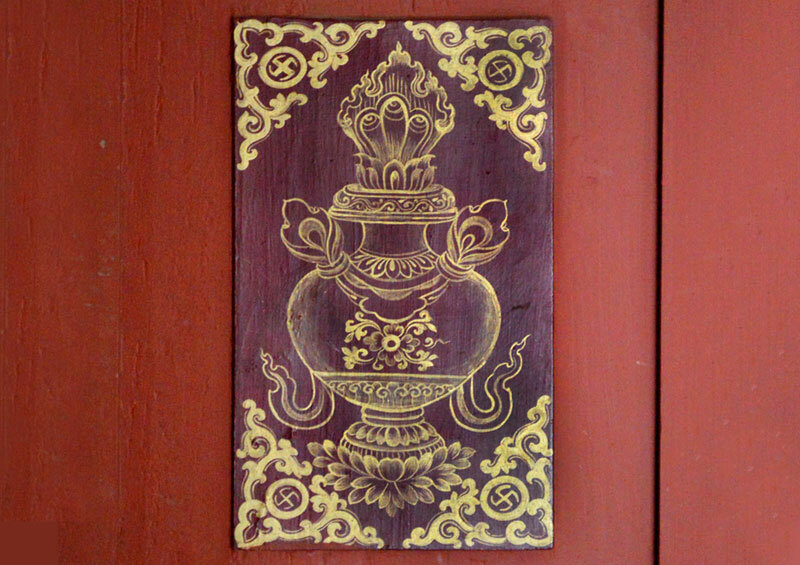 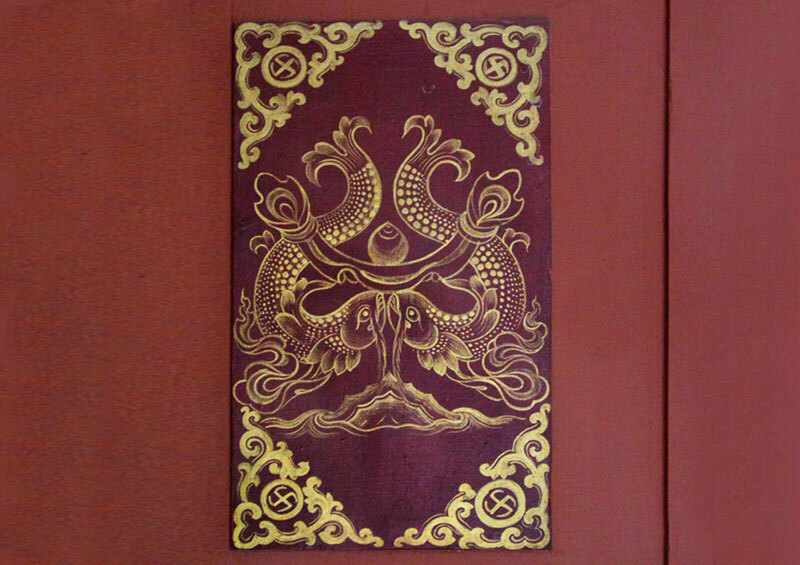 Each one is said to represent a Buddhist teaching and when they appear together their powers get multiplied. 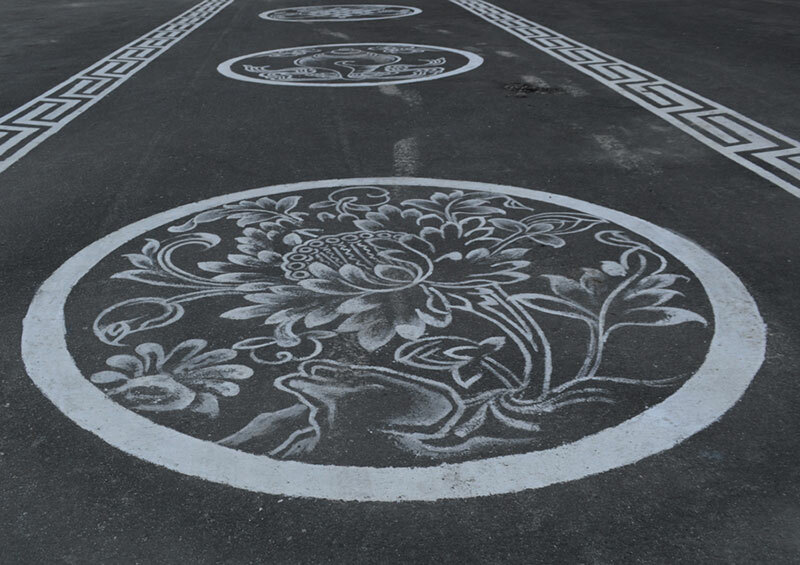 They can be painted on the road, on doors, carved onto tables and so on.